Never one to squander an opportunity, especially when it involves racing in another country, I accepted an offer to compete in the inaugural UltraVasan 90k in Mora, Sweden. I love the excitement of seeing new terrain by foot, and Sweden seemed like a great place to do that. When I booked the trip many months ago, I had planned to ramp up for this event with some fast 50ks and 50 milers before heading overseas. However, in May I was diagnosed with a debilitating stress fracture in my femur, which ruined a whole summer of racing. 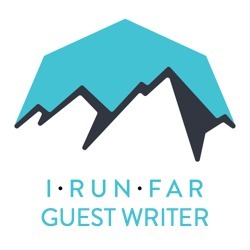 After being down on myself for several weeks, I needed a break and decided, instead of canceling yet another pre-booked race flight, to take my chances on an experience from the sidelines and travel to Sweden for the UltraVasan 90k trail run as a spectator. I was expecting an adventure, with the caveat that I would have to deal with the ever-present guilt of not racing, but what I got was much more than that; it was a full-immersion experience in Swedish culture, and one that I’d highly recommend to other ultrarunners looking for a memorable event in a special country. About four hours north of Stockholm lies Mora. The pretty city is located on the shores of Lake Silvan, one of Sweden’s largest lakes. On the way, you pass plenty of Ikeas (yes, the Swedes I met really do shop there), and picturesque country towns filled with traditional-style red wooden homes with white windows. It’s easy to imagine snow-covered fields in the winter. Sadly for me, the reindeer live north of here, so my daughter’s dreams of me seeing Santa weren’t coming true on this trip. However, the lush forests and open moors were pretty close to what I expected based on the images I had seen. In the center of Mora, by the classic Swedish church, is the iconic finish line for the Vasaloppet, and now UltraVasan, races. The entire city seems drawn to this cultural and athletic center, as tradition says it should be. Annually, the Vasaloppet attracts about 70,000 ski racers in several events that take place over one week in March. In American racing terms, that’s a number that’s hard to imagine, or even believe. The race boasts both a professional full-time organization to run it and the moral support of a whole nation. It was originally conceptualized from the 1521 journey of Gustav Vasa (future king of Sweden), who skied from Salen to Mora on the run from the Danish king. In 1922 the Vasaloppet was created to follow that historic winter journey. Not many first-year events can say they have the active support of 40 full-time staff, and a course with a 90-year tradition in sport. That’s a big part of what makes this race so special. In a land where winter endurance sports rule, it’s somewhat surprising that more Swedes haven’t yet caught the ultrarunning bug to balance their winter training. (I suppose roller-skis are more popular here than anywhere else I’ve ever been, though.) It seems few opportunities exist in Sweden to run more than the marathon distance, and even fewer on trails. The UltraVasan is looking to change that by taking a well-known event, the popular Vasaloppet ski race, and making it into its natural summer sister, the UltraVasan 90k trail run. Looking to build on the Vasaloppet with these summer events, the organization added mountain-bike races in 2009. Ultra trail runs were added just this year, but not before several years of planning guaranteed they would be successful. Of course, the runs would need to be consistent with the Vasaloppet quality the Nordic ski world has come to expect. UltraVasan 90k was the brainchild of Peter Fredricson and well-known Swedish ultrarunner Jonas Buud. The two new events added in 2014, a 90k and a 46k boasting more than 1,500 runners, surprised organizers by selling out in a mere 28 minutes after being announced in September of 2013. With this, the UltraVasan was born on August 23, 2014. The course follows the traditional Vasaloppet route and is intended to appeal both to road and trail runners with dirt roads, grassy Nordic trails and technical singletrack sections. Elite runners in the first-year event included a mixed field of national-champion road runners and true trail runners. The pre-race favorites included Buud (Sweden), John Henry Strupstad (Norway), and Steve Way (Great Britain), and Holly Rush (Great Britain), Sophia Sundberg (Sweden) and Francesca Canepa (Italy). Well-organized buses carry runners from Mora to Salen for the early start of the 90k race. While the start is at 5 a.m., the northern location lends itself to about 16 hours of daylight this time of year, so it is light when the runners begin their journey. Again, following the traditions of the ski event, a huge, heated, and well-stocked start area hosts the runners prior to the beginning of the race. And like the familiar UTMB anthem, UltraVasan has its own majestic theme song to match the nation that plays host to this event. This song runs on repeat through the runners’ heads as they start the race. The trail heads immediately through the moorland and woods, and is signed every kilometer. Aid stations are plentiful and easily accessible by crews. Wide dirt paths, singletrack, and boardwalks make up this course. It’s a fast trail by ultra standards, with 890 meters of total elevation gain over rolling terrain in 90 kilometers. In crewing for Swedish team runner, Sophia Sundberg, I witnessed countless volunteers and aid stations filled with blueberry soup and other regional specialties. I also saw that Sweden is a country of strong athletes of every age. In this first edition of UltraVasan 90k, both the men’s and women’s fields blew away expectations and finished well before anticipated winning times. Holly Rush (7:09), a British marathoner and top finisher at Comrades, and Jonas Buud (6:02), a past podium finisher of UTMB, set fast marks that undoubtedly will be hard to beat. Mimmi Kotka (Sweden) and Steve Way (Great Britain) took second place honors, with Lena Gavelin (Sweden) and Jarle Risa (Norway) rounding out the top three. The competition was fierce throughout both races, with strong groups of runners at the front through more than 50k. Of course the race organizers spared no expense in offering both sprint awards and significant overall prize money to lure top men and women finishers. And to end the race with the same fanfare as the start, a traditionally-dressed man and woman crowned the winners at the finish line. While I enjoy traveling, I often dread the technicalities of airport layovers, long customs lines, and difficult-to-navigate public transportation. But flying into Stockholm was surprisingly easy. You know you are in Sweden when the normally stale concrete and metal airport hallways are lined in wood. If you don’t want the hassle of renting a car, there is a direct train to Mora that leaves from the Arlanda Airport. The Swedes I met in the first 15 minutes of being in the country epitomized my entire experience: they were friendly, helpful and very willing (even excited) to speak English. Unlike during some of my other European travels–I won’t name names–this country seemed genuinely excited to host Americans. The other thing that I should have expected was Swedish food. Yes, Swedish meatballs really are a thing, and that lingonberry jam you get at Ikea is real as well. Meals mostly consist of boiled vegetables, boiled potatoes, meat, and fish. Good enough for this ultrarunner to get her fill. Fredricson and the other race directors have big plans for UltraVasan. They hope it continues to attract a top field of competitors, as well as to convert a good portion of the Nordic skiing population in Sweden to summer ultrarunning. Great pains were taken to make this first event a success, and runners can expect the tradition of this race only to grow stronger in the future. What’s that line from Amy Poehler’s new show, “Nobody ever goes to Sweden just to go”? Well, Amy, I’ve found many reasons to prove you wrong. And I’ll be back next year to run the UltraVasan 90k. The 2015 Ultravasan 90k will take place on August 22. Blueberry soup at an aid station? I would not want to see that come back up! Sounds like a great event, and good for you for sticking with your trip and spectating instead of canceling due to injury. I missed being in the country for this race by one week. I did run a 13 mile out and back from the finish line in Mora just for fun. Very nice forest scenery. It is a very fast course as seen by the finish times.